Product #1848 | SKU 695SP2 | 0.0 (no ratings yet) Thanks for your rating! The Manfrotto 695SP2 rubber/metal spiked foot converts the 695 monopod foot to a steel tip for firmer footing on soft ground. 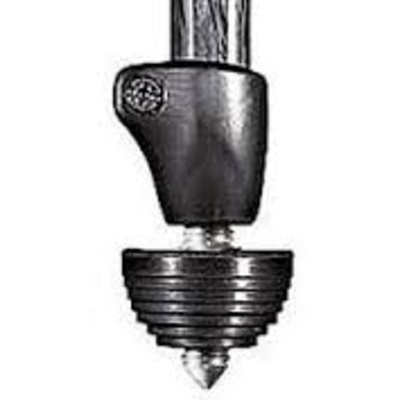 The spike is made of a special hard anodised aluminium alloy extremely resistant to corrosion. The retractable rubber tip makes this accessory one you can leave on the foot of the monopod at all times.